Founder and CEO of Monese, an online banking service that is designed to meet the customers’ everyday needs and therefore offers all the modern banking facilities. Because Monese's entire registration process is carried out online, customers can get an account within minutes and can start using the services immediately. 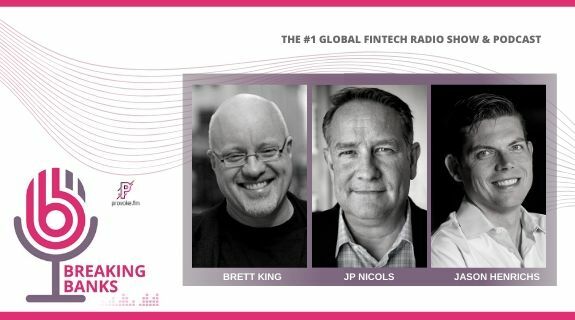 https://www.voiceamerica.com/show/2193/breaking-banks-fintech 25/04/2019 12:00 25/04/2019 01:00 Breaking Banks Fintech https://www.voiceamerica.com/show/2193/breaking-banks-fintech One of the frustrations with retail banking is the sense that all services are too expensive for the poor who could most benefit. Part of this stems from the banks being product oriented. One of the revolutions of fintech disruption is the creation of the services for the traditionally underserved, sometimes called the underbanked.